Planning a 2019 wedding? Congrats! We suggest wowing your guests by throwing a stylish celebration! Looking for an of-the-moment hue for place settings, invitations and more? Copper is in for 2019. This pinkish-orange-gold color is super versatile, not to mention gorgeous. It’s got an ultra-modern, industrial vibe to boot. You don’t need a marketing degree to make this 2019 wedding trend work. All it means is choosing a common design element—geometric shapes, custom illustrations, color-blocking, etc.—and using it on save the dates, invitations and in the wedding décor itself. Make dinner fun for your guests with do-it-yourself stations like make-your-own sundaes for dessert. Making all your bridesmaids or groomsmen wear the same thing is no longer a requirement. In keeping with 2019’s mix-and-match vibe, give your bridal party a general color scheme and let them pick their own outfits, or pick a handful of styles for them to choose from. Beautiful locations, like Key West, are always in style. 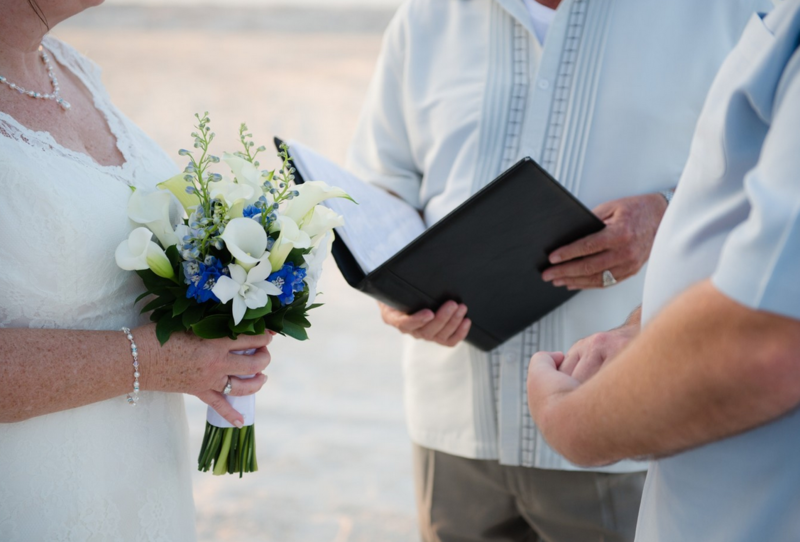 If you’re looking to plan the Key West wedding of your dreams, check out Aaron’s Key West Weddings. Whether you want a simple ceremony on the beach or an all-out gala event, Aaron’s has you covered. Browse our wedding packages and call us at 305-293-8809 to find out more!